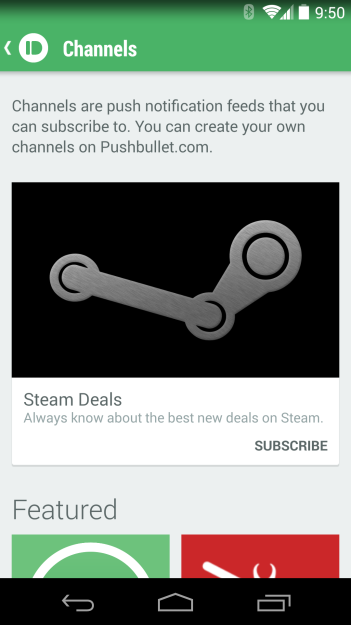 Pushbullet Channels are the headlining feature in the app's latest update. 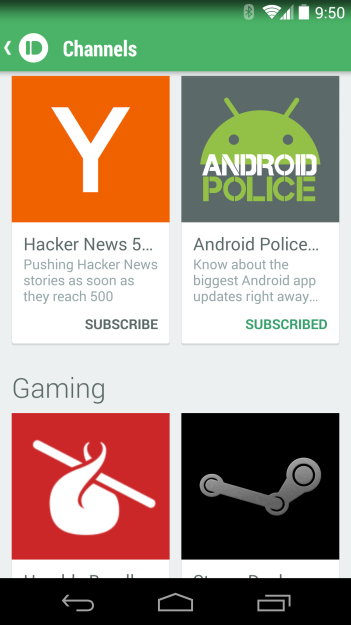 In short, these are feeds that can push out notifications to subscribers whenever something new happens. Want to keep up with our APK downloads? You can simply subscribe to the channel to get notified whenever we have something fresh to send your way. This functionality may sound familiar, especially for veteran IFTTT users who know how to use the site's tools to get notified of just about anything (including Android Police APK downloads). Pushbullet isn't quite as versatile in this area, but it does give people the option to create their own channels as well. Currently this is something that has to be done from the website, not the app. If you create one that others might be interested in, feel free to submit it to [email protected]. As for us, APK Downloads isn't the only channel we have available. 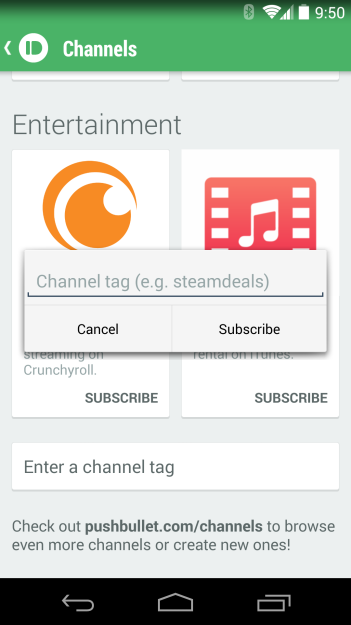 You can browse the remaining selection of channels from within the app, or you can peruse the list here while the update downloads. It's already out on the Play Store, so hit up the widget below to get the ball rolling.